We are nearing the end of this year’s legislative session in Olympia. April 17 is the deadline for bills that have already passed out of one house to pass out of their second house. There is an exception for bills that impact the budget; these have no deadlines. The remaining 2 weeks of the session will be taken up by budget negotiations, including a decision on the B&O tax on services (click for more info if you would still like to comment on the B&O). This page lists alive and passed bills and will be updated daily with any new information on bill status. To review all bills, you may view AIA|WA’s bill tracking report. 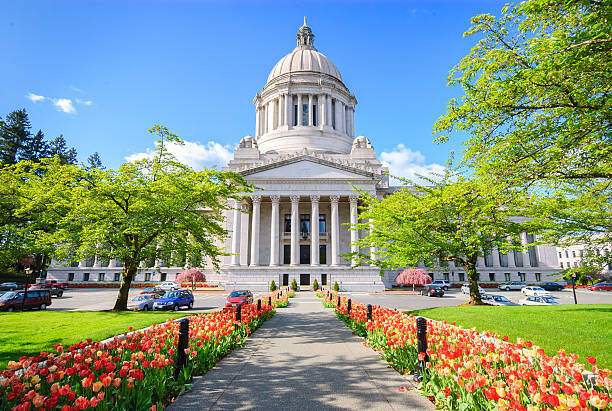 If you would like to ask your legislators to support any of the remaining legislation on AIA|WA’s agenda (or other bills on your personal list), now is the time to do so. Using the information that follows, identify which bills you would like to comment on and whether they are currently in the House or Senate. Determine whether the bill(s) you want to comment on are in the Rules Committee or on the list to be considered on the House or Senate floor. IF IN THE RULES COMMITTEE: Determine whether your legislator(s) is on the House or Senate Rules Committee via the preceding links. If they are, ask them to support moving the bill(s) to the floor in the Rules Committee. If they are not, ask them to request that the Rules Committee advance the bill to the floor. IF HEADED TO THE HOUSE OR SENATE FLOOR: Ask your senator or two representatives to support the bill on the floor. You can find your legislators’ email addresses here (search by name or district). If you don’t know either you can input your home address here. Use the specific bill number in your comments. Tell the legislator(s) that you support or oppose the bill and tell them why. Ask the legislator(s) to support your position. Bills that have been approved to be considered on the floor are highlighted in green. SCHOOL CONSTRUCTION FUNDING/SCAP: implements phased changes to the Student Space Allocation and the Funding Assistance Percentage funding formulas within the School Construction Assistance Program. This bill is exempted from the cut-off deadline because it impacts the budget; it remains in the House Capital Budget Committee. AIA|WA supports. SB 5853 is in the House Capital Budget Committee; this bill is likely dead unless it gets pulled into the budget process. HEAL ACT: Aims to address disproportionate environmental impacts to low-income and minority communities by: creating a definition of environmental justice, directing agencies to address environmental health disparities and creating a task force to make recommendations. AIA|WA has remained neutral on this legislation; we support the aims of the bill but would like to see any task force decisions reviewed by the Legislature. SB 5489 has been approved to be considered on the House floor. LOW CARBON FUEL STANDARD: Establishes a Clean Fuels Program to limit greenhouse gas emissions per unit of transportation fuel energy to 10% below 2017 levels by 2028 and 20% below 2017 levels by 2035. This bill passed the full House and the Senate Environment & Energy Committee but has not yet passed out of the Senate Transportation Committee. It remains alive, if imperiled, because it impacts the budget. AIA|WA has not been active on this bill. HB 1110 is in the Senate Transportation Committee; this bill is likely dead unless it gets pulled into the budget process. ZONING AUTHORIZATION: Allows all jurisdictions to increase short subdivisions up to nine lots by ordinance and authorizes jurisdictions planning under the GMA which have adopted a comprehensive plan to increase short subdivisions up to 14 lots by ordinance in an urban growth area. AIA|WA supports. SB 5008 has been approved to be considered on the House floor. ADU AUTHORIZATION: Requires cities and counties to adopt ordinances that authorize accessory dwelling units within designated urban growth areas by 2021 and establishes regulatory requirements that must be included. **The most recent, amended version of this bill changes the impact significantly; it prohibits ADUs from violating lot size/coverage and setback requirements; limits the impact to cities with a population of 10,000 or more; removes cities of at least 2,500 within the boundaries of a regional transit authority; removes language prohibiting a requirement for off-street parking for ADUs within 0.5 mile of a transit stop; and removes language prohibiting a city with a population of 100,000 or more from requiring the owner of a lot with an ADU to reside in the ADU or in another housing unit on the same lot. HB 5812 is in the House Rules Committee. AIA|WA supported the previous version of this legislation but we do not support this version. Contact your representatives and ask them to restore the earlier, more impactful version on the House floor. To compare the current version with earlier ones, click on this link and scroll down to Available Documents. On the left, select a link under Bill Reports. These are the summaries of the various versions of the bill, with the most recent at the bottom. ARCHITECT LICENSING: AIA|WA’s bill amends the Architects’ Practice Act to incorporate NCARB-approved changes to the path to licensure, including eliminating a year of AXP electives and allowing all candidates to complete the experience and testing portions of licensure non-sequentially. In addition, the bill removes the use of the word “intern” for associate architects with degrees and adds language to clarify the definition of the practice of architecture. HB 1148 passed the House and Senate and will go to the Governor for his signature sometime in the next week. **If you are interested in participating in the signing ceremony in Olympia with Gov. Inslee – date and time still unknown – let Kirsten know. CONDO LIABILITY: SB 5334 to address issues related to condo liability by further defining condo warranties in state statute has passed the Senate and House unanimously. Although the bill has to return to the Senate for concurrence with a technical change made by the House, this bill will go to the Governor for his signature. TINY HOMES: Authorizes cities and towns to adopt ordinances regulating the creation of tiny house communities. SB 5383 has passed both the House and the Senate will go to the Governor for his signature. AFFORDABLE HOUSING/REET EXTENSION: Authorizes cities and counties planning under GMA to use real estate excise taxes to support affordable housing and homelessness projects. AIA|WA supports. HB 1219 has passed both Houses and will go to the Governor for his signature. CLEAN ENERGY/FOSSIL FUEL-FREE ELECTRICITY: Requires: 1) all state electric utilities to eliminate coal-fired resources from their allocation of electricity by 2025; 2) all retail sales of electricity to WA customers to be greenhouse gas neutral by 2030; and 3) establishes a statewide policy that non-emitting and renewable resources supply 100% of all retail sales of electricity to WA customers by 2045. AIA|WA has monitored this bill but not actively supported it. SB 5116 passed both the House and the Senate but will need to go back to the Senate for concurrence with the version passed by the House. RESIDENTIAL DENSITY: Requires cities over 40,000 that plan under the GMA to take at least two listed actions to increase residential building capacity by 2022. AIA|WA supports. HB 1923 passed the House and the Senate. It will need to be voted on again by the House to approve changes made in the Senate. An updated summary will be available shortly. CLEAN BUILDINGS: Gov. Inslee’s Clean Buildings legislation establishes natural gas standards, creates large commercial building performance standards and incentives and adds requirements for EV readiness in buildings. This bill is AIA|WA’s top climate priority. HB 1257 passed both houses but will need to go back to the House for concurrence with the version passed by the Senate. HFCs/REFRIGERANTS: Requires reductions in greenhouse gas emissions from hydrofluorocarbons. AIA|WA supports. This bill was weakened in the Senate; the House sponsor has pledged to restore the prior version, which would likely happen in a conference committee (this determines the final version of a bill when the two houses have passed the bill but disagree on the details). HB 1112 has passed both houses but will need to go back to the House for concurrence with the version passed by the Senate. TOXIC MATERIALS: Addresses toxic chemicals in consumer products by authorizing the Dept. of Ecology to take regulatory action on five priority chemicals every five years. AIA|WA supports. SB 5135 has passed both houses and will go to the Governor for his signature. CPARB REQUEST LEGISLATION: Makes adjustments to design-build and job order contracting procedures, including removing limitations on design-build projects between $2 million and $10 million (see bill link for additional details). HB 1295 has passed both houses and will go to the Governor for his signature. LOW-INCOME HOUSING TAX EXEMPTION: Provides a sales and use tax exemption for qualifying purchases of labor, services and tangible personal property related to self-help housing. (“Self-help housing” is defined as dwelling residences provided for ownership by low-income individuals and families whose ownership requirement includes labor participation.) AIA|WA supports. SB 5025 is in the House Rules Committee passed both houses but will need to go back to the House for concurrence with the version passed by the Senate. 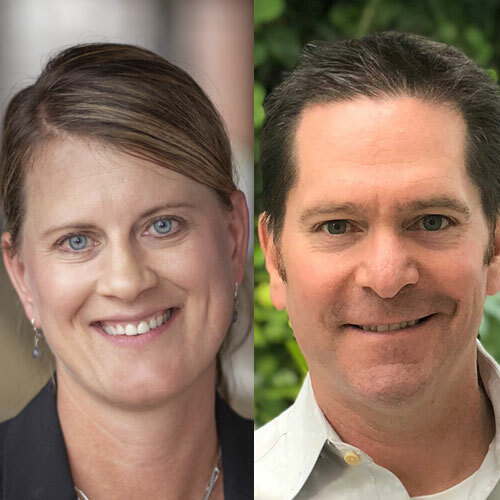 AIA Washington Council congratulates Washington members elevated to AIA’s College of Fellows in 2019, Ruth Baleiko and John Harrison.